Below is a comparison of Canon S95 images JPEG+RAW mode. The bottom image is direct from the camera, downsized 12.5 %. The upper image is converted with DCRAW, downsized 12.5 %. Look at the details in the edges and corners of the image. 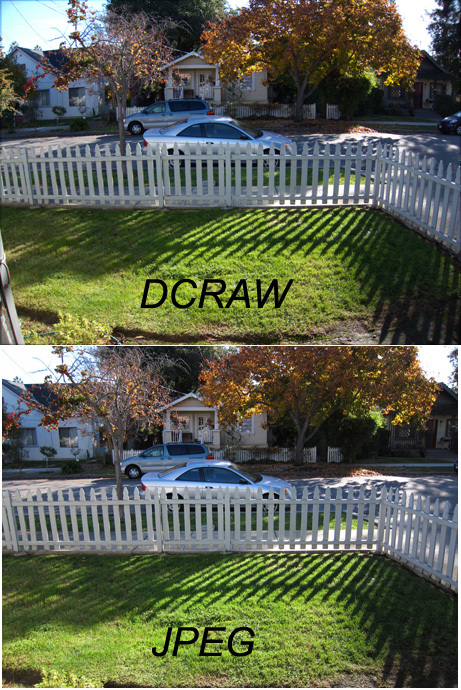 The DCRAW converted image has noticibly more visible area. The corners show very bad lens abberations, but it was interesting to me that the viewable area is that much different.